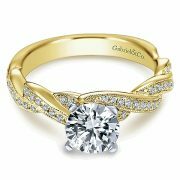 14k Gold Diamond Milgrain Pave Criss Cross | Gabriel&Co. A woven band of crisscrossed diamond strands with milgrain details creates the ideal base for your stunning center stone in this gold engagement ring. Available in White, Yellow, And Rose Gold. 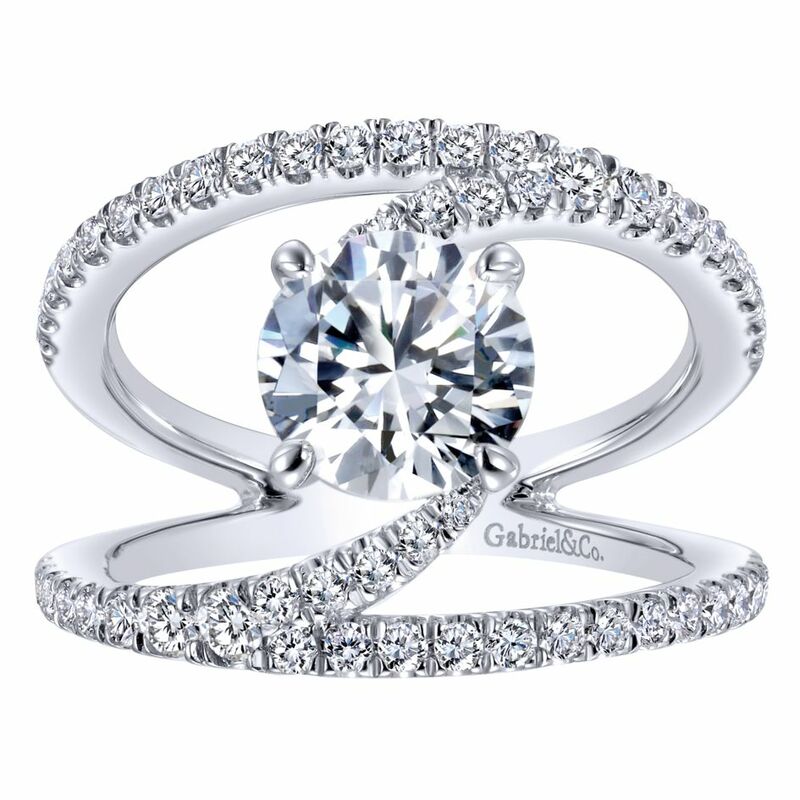 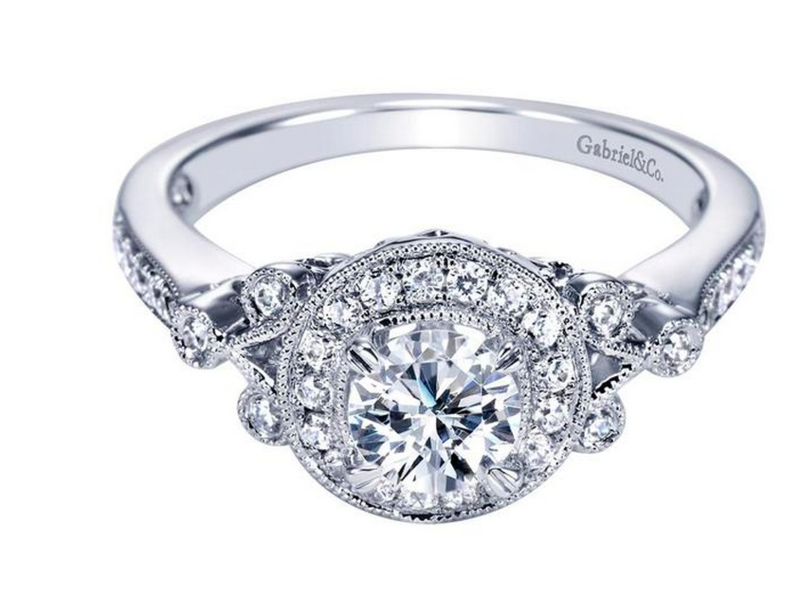 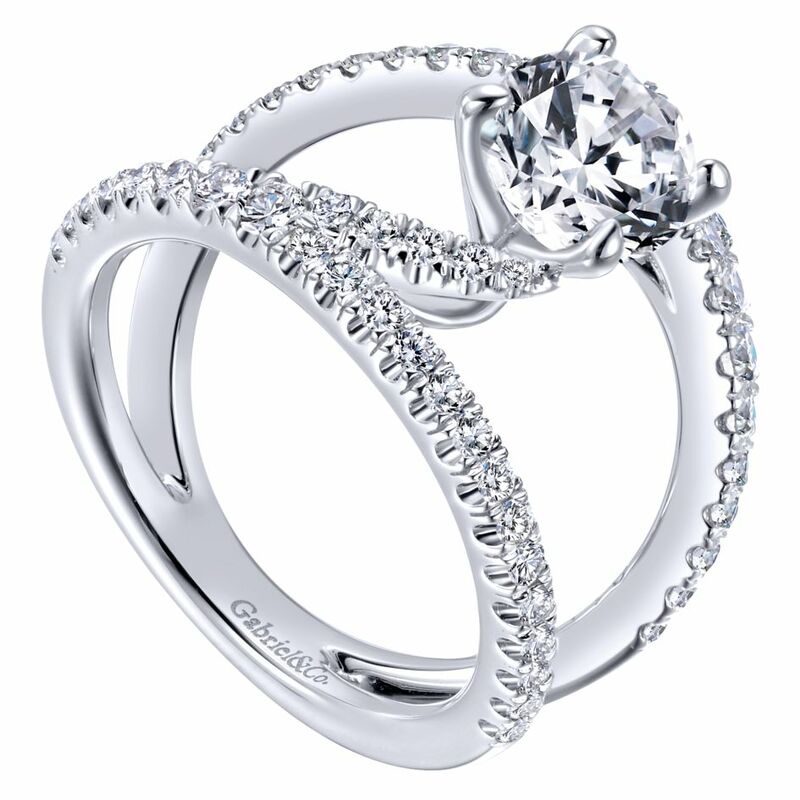 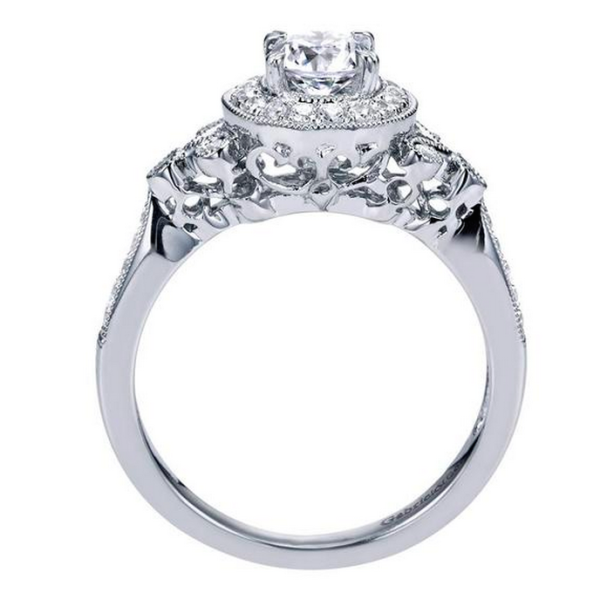 Gabriel & Co Style ER94156 complete engagement ring with a victorian halo. 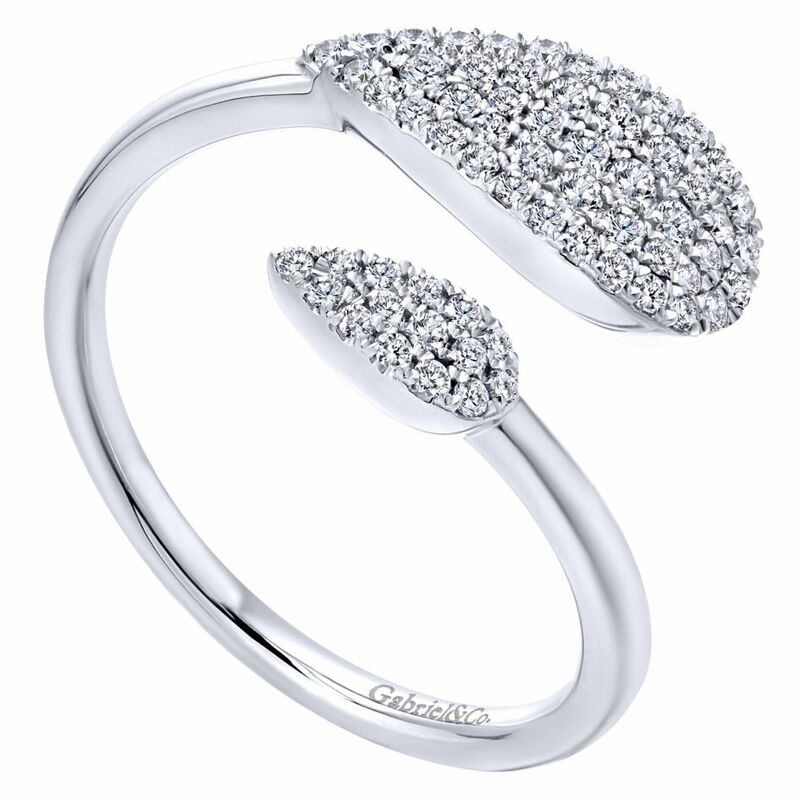 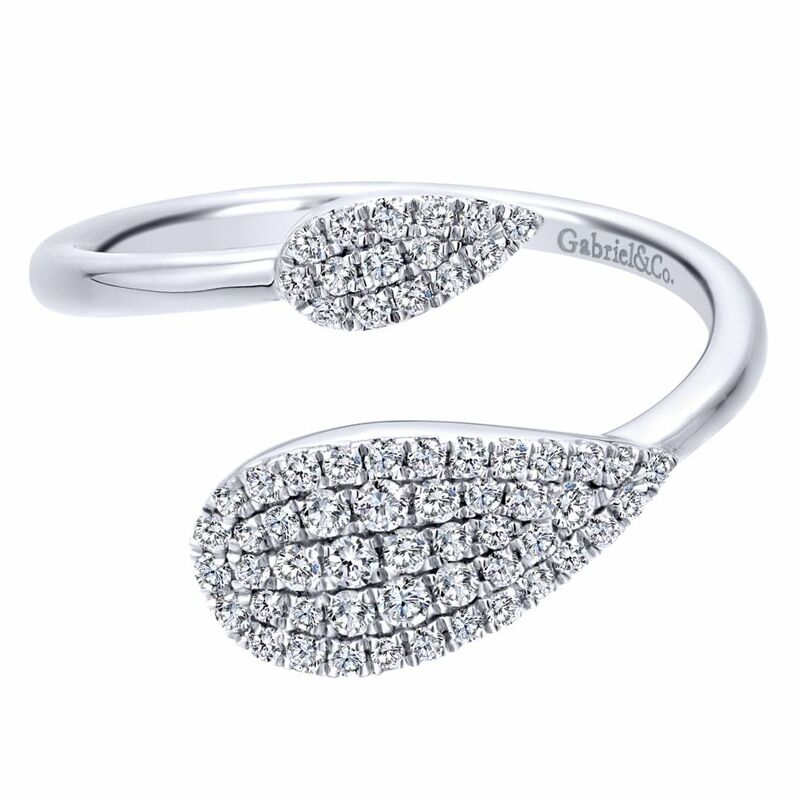 Next:14k White Gold Diamond Halo | Gabriel&co.